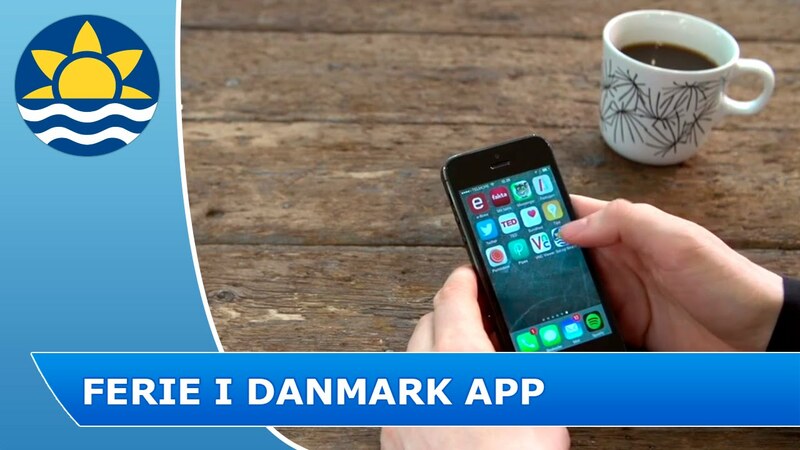 Download the free Sol og Strand app 'Holiday in Danmark' with descriptions of 1,500 attractions in Denmark. With our app you will easily find inspiration for your holiday in a holiday home. Here you can quickly find driving descriptions, telephone numbers and links for websites with many exciting attractions. You can choose the attractions you are most interested in and have them presented either on a list or a map in proportion to your current location. In this way you can quickly and easily see which attractions are available in the area around your holiday home. You can also see which other attractions there are nearby, if you have visited an attraction and would like to see more in the area. With the map in our app you will quickly find new exciting experiences close to where you are. When you have downloaded the app, it does not require data connection for the descriptions of the attractions. Thereby you save the costs of the data connection. In Denmark you will find lots of fun attractions for the whole family. To go on cosy trips can be a fun way of adding a little extra to your holiday in a holiday home. In Denmark we have lots of different attractions, and with our app you will easily find the attractions you would like to visit. Among other things, you can experience the many amusement parks of the country where you can try wild roller coasters and fun playgrounds. Often you will also find imaginative water parks here - perfect for cooling down on a warm summer day. If you are interested in animals, it is an obvious choice to visit one of the many animal parks of the country. The animal parks often contain both exotic animals and pat friendly animals, so you can experience the animals up close. Let yourselves be fascinated by the exciting animals and learn something new about their habits. Often there are also playgrounds in the animal parks and room to be active in between visiting the animals. In many amusement parks and animal parks, you are allowed to bring your own food, so pack a lovely picnic basket and enjoy a wonderful open-air lunch. You can end your lunch with a lovely ice cream. Alternatively, there are also most often restaurants in the parks, which you can visit. Each of you can enjoy choosing exactly what you wish to eat. This adds a little extra luxury to your holiday in a holiday home. Get close to nature and visit the many parks, forests and nature centres of the country. With our app you will quickly find an exciting nature area close to your holiday home. In many forests you will find nature playgrounds where you can have fun under the open sky. You can also find dog walking forests where the family's four-legged friend can have a good time in lovely surroundings. In the meantime, you can enjoy a cup of coffee and the food you bring along at tables and benches that are set up in the forests. If you feel like fishing, you can find a fishpond, practise in-shore fishing or fish in lakes and streams. Fishing is a relaxing way to be together, and then you can enjoy the catch of the day together as a family, prepared 'at home' in your holiday home. If the fish do not bite, you can buy freshly caught fish at many places by the coast, when the fishermen pull their cutters ashore and estimate the catches of the day. If you have a particular interest or are curious about a particular field, you can visit a museum or an experience centre. Here knowledge is conveyed in a fun way where everyone in the family can benefit from the visit. Maybe you will learn something more about a topic you did not know much about or maybe the visit will arouse your interest in a new field. You can also visit an open-air museum and experience the history while walking around among the old buildings and in surroundings corresponding to a specific age. Here you will get an authentic experience by being part of a time gone by. Often you can also see how life was in those days, since frequently museum staff, dressed in historical costumes, perform activities that were part of everyday life back then. After a visit back in time, it is pleasant to get back to your holiday home and enjoy all the conveniences we have nowadays. Get extra experiences on your holiday as a couple in a private holiday home with exciting attractions and experiences. Through our app you will easily get an overview of your precise areas of interest. You can go out and experience exciting arts and craft and interesting art museums with fine collections. Visit the artisans and see their beautiful works or enjoy getting access to their working workshops, where you can see the production. So, try to explore your local area and find undiscovered treasures with the app. Around the country you will also find many beautiful art museums, where often the buildings are also art in themselves. The many art museums have exciting collections from specific ages and by specific artists. Besides, there are many temporary exhibitions during a year. Maybe you are lucky that exactly your favourite artist is exhibiting somewhere close to where you are staying. You can enjoy a lovely holiday with focus on culture. The app will quickly and easily help you find exciting museums, fascinating buildings with interesting history and culinary specialities. In Denmark you will find many museums, open-air museums and experience centres where you can walk around and enjoy the fine exhibitions and learn new things. Nowadays many museums convey knowledge in a creative and different way, so you will definitely return from your visit a little wiser. With our app you can also find many of the country's beautiful churches and exciting buildings, which will offer an insight into a way of life that belongs to another time. Let your holiday in a holiday home be the framing for music experiences and plays. Festivals and concerts, music, both outdoor and indoor, creates an atmosphere and lovely holiday memories. Experience fascinating plays and enjoy talking about them during the long evenings 'at home' in your holiday home. If you feel like experiencing new tastes and outstanding gastronomy, our app will help you along. With focus on local ingredients and wonderful taste experiences, you can enjoy something very special in beautiful surroundings. Besides relaxation, your holiday in a holiday home can be an inspiration, where you gather impressions and get new ideas and bring them home. If you feel like having an active holiday, the app will show you the way to golf centres, fish parks and lovely natural resorts. Therefore, you will easily find the kind of activity you like. Golf centres in beautiful nature surroundings where you can play a game comfortably are a nice way to spend your time. Or you can cast out the line for good fishing experiences both by the coast, streams and fishing lakes. It is exciting to see what you catch. Enjoy the catch for dinner 'at home' in your holiday home. There are also many fine forests and national parks where you can go on cosy treks and maybe experience a part of the beautiful Danish bird and animal life. If you have not brought along your bicycles, you can rent bicycles in many places and thus follow many of the beautiful cycle routes in the natural resorts. The Sol og Strands app gives you the opportunity to create an overview of which exciting attractions are available in the area around your holiday home. In this way it is easier to get inspiration, to plan and enjoy lovely experiences on your holiday in a holiday home. Maybe new exciting attractions have occurred since you last visited the area, or maybe you have found new interests, which you would like to explore. With the app it is easy to find out what you are going to experience or re-experience, when you are on the road.